"Cheers to the End of Summer!" 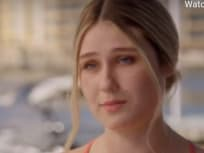 On Siesta Key Season 2 Episode 13, Pauly tried to defend Alex and stirred up drama at Cara's end-of-summer bash, while Kelsey made a shocking admission. On Siesta Key Season 2 Episode 12, Juliette turned 21-years-old, and find herself facing the biggest decision of her life: Alex or no Alex? "I Had High Hopes for You"
On Siesta Key Season 2 Episode 11, Juliette met up with Cara to find out why she decided to meet with Alex in the dead of night, but who came out on top? 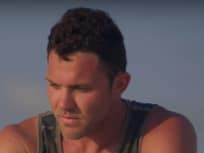 On Siesta Key Season 2 Episode 10, Alex reconnected with Cara, but did it spell the end of his relationship with Juliette? Meanwhile, Brandon went on tour. On Siesta Key Season 2 Episode 8, Juliette received some shocking information from a surprising source, while Garrett took his relationship with Cara to the next step. On Siesta Key Season 2 Episode 8, Juliette tried to find out whether Alex cheated on her, but what did Amanda have to say in the explosive installment? "Sorry! 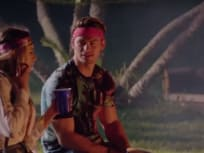 I Don't Owe You Anything"
On Siesta Key Season 2 Episode 3, Garrett set his sights on a new woman, and Kelsey was not impressed with the person he chose, while Alex continued to complain. On Siesta Key Season 2 Episode 1, Alex's birthday party fell apart when his worst enemy and old flame crashed the event, but Chloe tried to take somebody down.